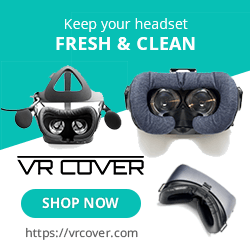 Arca’s Path looks to bring the simplicity to 3D VR platformers by making the controls as simple as possible allowing it grace almost every headset that matters. You play as a young woman who is trapped in the world of Arca and it’s up to you to escape through a series of stages that has you taking the form of a sphere as you roll around stage after stage in a race to get to the end. So, as I said, the controls are simple, allowing just about anyone to hop in and play with only a few seconds of practice. You control a sphere and must look at the ground where you want it to go. The camera and reticle at the center of your vision always keep you in place and as the camera only follows the ball, it’s very easy to stay focused on the action. Controllers are still needed, but only to access menus with the only other gameplay option being able to freeze the level you are on, allowing you to look around. Throughout each stage are gems scattered about that can be collected to unlock the time trial mode for that stage, should you get all of them and if you miss a few during a stage, you can revisit that stage and try again with the game keeping track of the ones you have already collected. 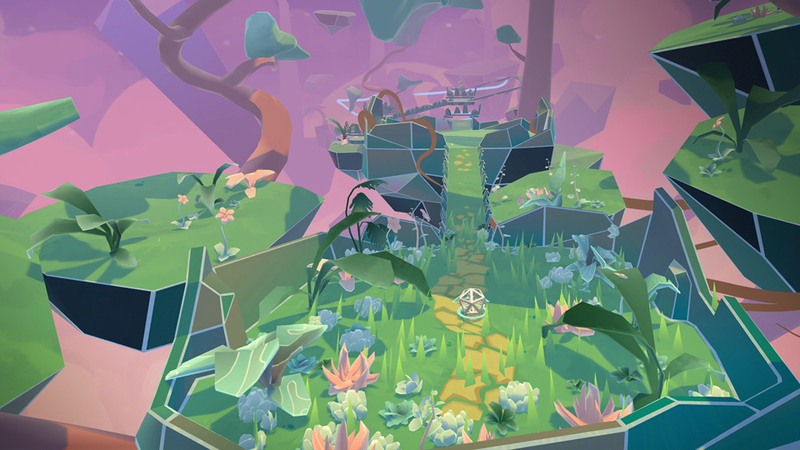 Arca’s Path has a cool art style that has the world being built around you in a spherical fashion. 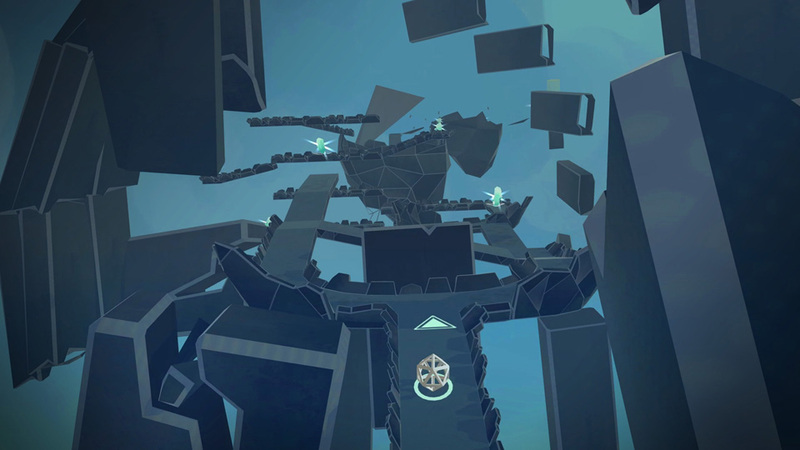 As you move through the level, the world before you assembles, reminiscent of what we saw in the dream sequences of Dead secret with the level design of Bound. Like any platformer, the stage themes do change a bit over the course of the campaign, but don’t really look that different with the biggest difference being the color palette used. A bulk of the stages are narrow paths, typically with edges so you can’t roll off, though the challenging sections remove those edges and require a little more finesse. The animatics in between stages are just still images with some very light animation and music and look as though they were taken from a comic book. The sound design is probably the best part of Arca’s Path with the music being chilling and immersive initially though doesn’t mix up the playlist enough to keep it sounding fresh. The longer I played through the game, the less I appreciated the music and effects and by the end of the game, I was honestly pretty tired of the presentation in general. 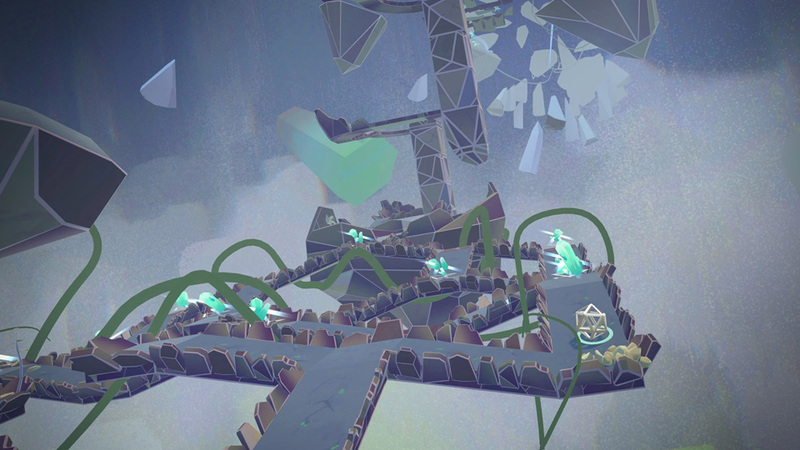 Arca’s Path relishes it’s simplicity and while the basic nature of the game makes it very easy to pick up and play regardless of your gaming skills, that same simplicity makes the game feel monotonous quick. Whether it’s the first or last stage, the game feels the same. New elements are introduced throughout like moving platforms, traps and even a very light stealth section toward the tail end, but with the controls being so basic, all of these obstacles are solved in 1 of 2 ways…go fast or go slow. I also wish there was an insta-freeze button, so I can look around a little easier. The pause in between stopping and starting the action really annoyed me when all I wanted to do was check out the environment for a second. The story elements are so light as to be almost non-existent with there being just enough to explain your situation without really explaining why you are rolling around in a virtual world. At least for me, I was very confused by it all. Arc’s Path, I think, nails exactly the vision the developers had in mind for the game. Each element of the game, when looked at individually, is solid, but when looked at as a whole is a game that is in no way bad, just monotonous and dull. Anyone can play it and I think initial impressions wil be positive, but the longer I played, the less I cared about every aspect of the game, to the point of annoyance and a little frustration. What would I pay? I’d be a lot happier if this was in the $8 to $10 range as opposed to the $15 asking price. Nothing in here is broken, but this boils down to being to simplistic of a platformer to really keep me intrigued for longer than a few missions at most. Rebellion provided The VR Grif with a code for this title and, regardless of this review, we thank them for that!